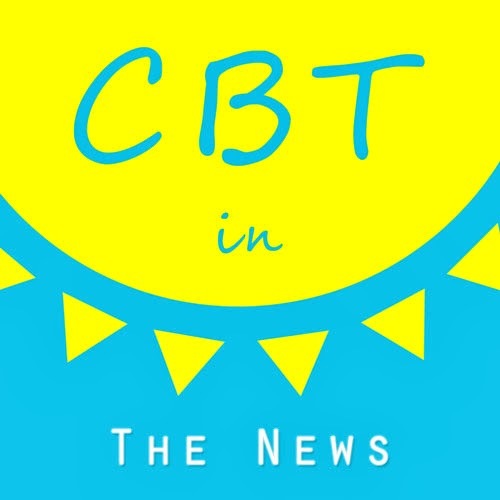 This is a little list of links that I am putting together of cognitive behavioural therapy in the news. I have added some of the articles that I found interesting and I have also included snippets to highlight some of the most relevant points. More to come in the future! "Cognitive behavioural therapy (CBT) can reduce symptoms of depression in people who fail to respond to drug treatment, says a study in the Lancet." BBC NEWS SCIENCE: Can cognitive behavioural therapy really change our brains? "Cognitive behavioural therapy (CBT) is a type of talking therapy that's used to treat a wide range of mental health problems, from depression and eating disorders to phobias and obsessive-compulsive disorder (OCD). It recommends looking at ourselves in a different way that might prove useful for all of us in everyday life. But what happens to our brains when we have CBT?" 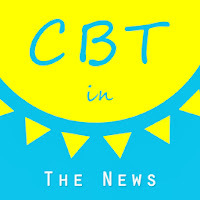 "Of all the talking therapies, CBT has the most clinical evidence to show that it works. Studies have shown that it is at least as effective as medication for many types of depression and anxiety disorders. But unlike many drugs, there are few side effects with CBT." "Three years ago Mark Young was under severe pressure. His father had been seriously ill, he and his wife were sleep deprived with two small children and he had a demanding job, which necessitated him making 500 cold-calls a week... ...Within a matter of weeks Mark, from Wiltshire, was on the road to recovery and decided to use his new found CBT skills to change his behaviour at work, treating people more empathetically rather than simply going for the "hard sell"." "What happens in a typical CBT session? You don't lie on a couch. You don't talk for the whole hour about whatever pops into your mind. You don't assume that you need to delve into childhood issues. Instead, you sit at a desk or a table with your therapist, who asks you at the beginning of each session what problem or problems you want help in solving. In the context of solving your current problems, you learn skills, such as how to correct your unrealistic or unhelpful thinking and how to modify your behavior to reach your goals. You and your therapist discuss what solutions you want to implement and what cognitive (thinking) and behavioral changes you want to work on between sessions." "Grant et al. found that people with severe schizophrenia have the same goals as people with other psychiatric disorders. They want to have good relationships, they want to be productive and they want to be independent. The researchers used recovery-oriented, cognitive therapy treatment methods to help them move, in small steps, toward these goals... ...Patients were able to reach a whole new level of functioning (demonstrated by an increase of 10 points on an instrument called the Global Assessment Scale). They also showed significant improvements in motivation and reductions in positive symptoms (hallucinations, delusions, disorganization). " "Antidepressants are among the most commonly prescribed drugs, but according to the researchers behind the new study up to two-thirds of those treated don't respond fully and still experience depression..."
"For more than two years, Gemma and her fiancé had been trying for a baby without success... ...Why did it have to happen to us? What did we ever do wrong? It was a massive emotional drain... ...As well as dietary and health tips, the course focused on helping the couples feel more hopeful about their prospects of getting pregnant by using sessions of cognitive behavioural therapy (CBT)... ...These CBT sessions proved invaluable in the journey towards pregnancy, says Gemma." "People with social phobia have a persistent, chronic fear of being scrutinised by others and of being humiliated by their own actions... ...More than one out of eight people will suffer from social anxiety disorder at some point. It is twice as common for women as for men. However men are more likely to seek treatment. Cognitive Behavioural Therapy (CBT) is the gold standard in the treatment of this condition. 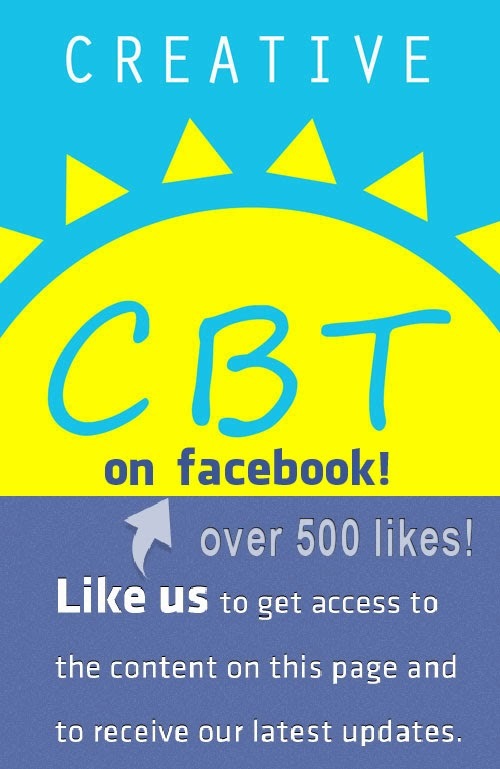 Signing up for CBT group therapy is often the first step on the road to recovery." Click here to make an appointment for a session of cognitive behavioural therapy via Skype.